My name is Arkady Arkhangorodsky. I was born in Israel in 1996 and have lived in Toronto since 1998. I hope to one day become a computer engineer, as my parents are. A demonstration comparing writing styles of various famous texts. 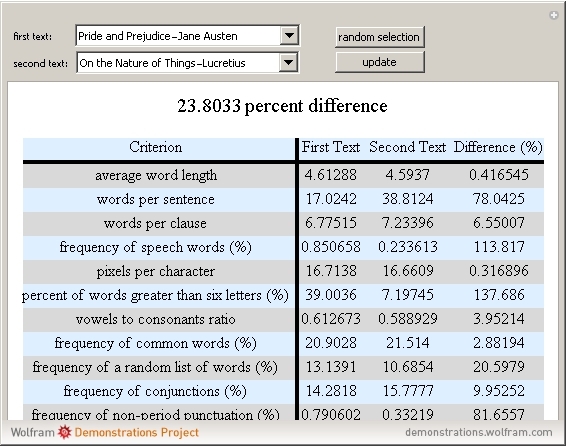 This program took a weighted average of 11 criteria that reflect writing styles.